Shanghai in the early twentieth century was alive with art and culture. With the proliferation of popular genres such as the martial arts film, the contest among various modernist filmmakers, and the advent of sound, Chinese cinema was transforming urban life. But with the Japanese invasion in 1937, all of this came to a screeching halt. Until recently, the political establishment has discouraged comprehensive studies of the cultural phenomenon of early Chinese film, and this momentous chapter in China's history has remained largely unexamined. The first sustained historical study of the emergence of cinema in China, "An Amorous History of the Silver Screen" is a fascinating narrative that illustrates the immense cultural significance of film and its power as a vehicle for social change. 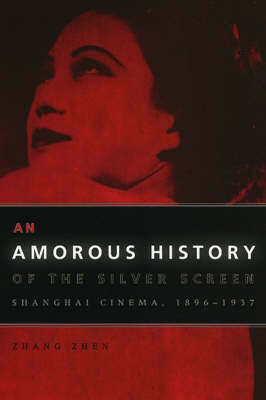 Named after a major feature film on the making of Chinese cinema, only part of which survives, "An Amorous History of the Silver Screen" reveals the intricacies of this cultural movement and explores its connections to other art forms such as photography, architecture, drama, and literature. In light of original archival research, Zhang Zhen examines previously unstudied films and expands the important discussion of how they modeled modern social structures and gender roles in early twentieth-century China. The first volume in the new and groundbreaking series "Cinema and Modernity", "An Amorous History of the Silver Screen" is an innovative - and well illustrated - look at the cultural history of Chinese modernity through the lens of this seminal moment in Shanghai cinema.